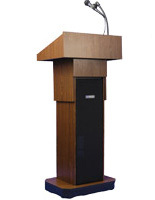 This pulpit covering is designed as a custom-fit cover for the LCTWS244 series of wooden lecterns. 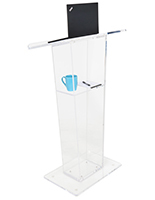 This podium protector will fit other 24" wide x 44" tall x 18" deep freestanding fixtures. 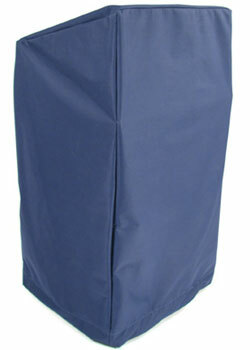 The 600 x 450 denier blue polyester fabric features a PVC coating and is 0.60 mm thick for maximum durability. 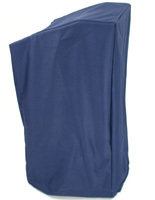 This pulpit covering resists spills and stains and is easily cleaned using only soap and water. 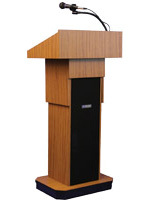 The lectern cover is lightweight and durable and very resistant to scratches, tears or punctures. 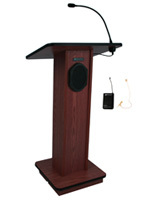 The lightweight but durable pulpit covering is a superior choice to protect valuable speakers' furniture when not in use. 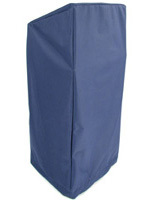 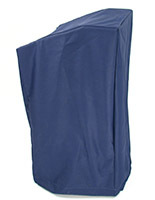 The protective lectern wrap's blue color will complement most environments.